Conrad Martens Plumbing & Hot Water are Brisbane’s gas fitter of choice. With over 35 years of experience, we specialise in gas servicing, installation and repairs. 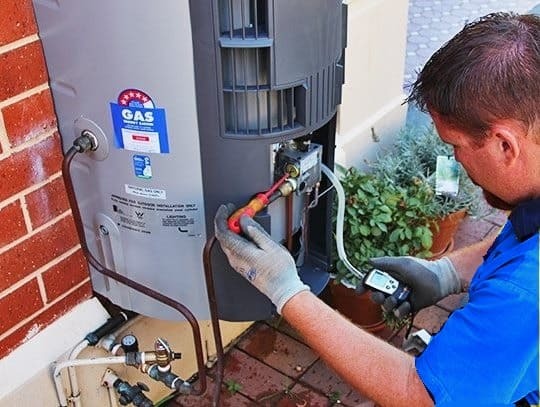 Our team of Brisbane gas fitters provide a same-day response for a range of services, including leak detection, cook top installation and appliance repairs. All repairs and installations come with a compliance certificate and are backed up with a workmanship guarantee. By holding gas, plumbing and restricted electrical licences, we deliver an effective solution without the need to engage multiple contractors. For a local Brisbane gas Fitter with the best price, service and advice, contact Conrad Martens Plumbing & Hot Water. Due to the inherent safety risks of gas systems, all work must be carried out by a skilled professional. Here at Conrad Martens Plumbing, our Brisbane gas fitters are highly trained and experienced in a range of technical gas fitting scenarios. Our trusted reputation has been established over 35 years of service to homeowners, real estates and commercial clients throughout Brisbane. EL Gas, one of Australia’s largest gas suppliers, has recently recognised Conrad Martens Plumbing as their recommended gas fitter for the Brisbane Area. If your gas appliance requires replacement, our knowledgeable team can recommend options and facilitate a stress-free installation. Conrad Martens Plumbing & Hot Water specialise in Brisbane emergency gas fitting. On the back of in-depth training and field experience, our emergency gas fitters provide fast and practical solutions. Each vehicle is stocked with a range of commonly used parts, including valves, regulators and a range of gas components. We also carry diagnostic and fault finding equipment including gas detectors, hot water controllers and electrical testing equipment. Once repairs are complete, all work is tested with a ‘lock up’ pressure test and a gas compliance certificate is submitted. 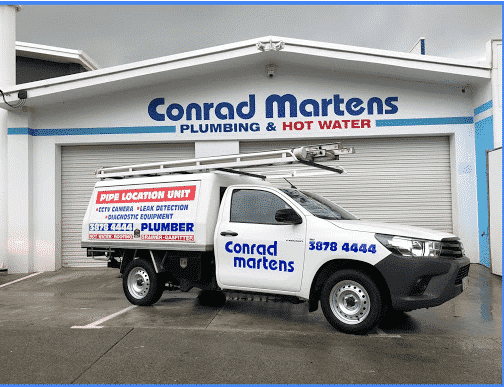 If you are looking for emergency gas fitting or gas servicing in Brisbane, look no further then Conrad Martens Plumbing & Hot Water. Conrad Martens Plumbing’s team of gas fitters provide reliable gas fitting services to the greater Brisbane area. If you have recently authorised a natural gas connection at your property, it will be necessary to engage the services of a certified gas fitter to install the pipework and appliances. It’s imperative that the contractor is fully licenced and skilled at sizing and installing natural gas services. Once appliances are connected, the system is tested and commissioned to ensure everything is working correctly. Upon completion of your new natural gas installation, Conrad Martens Plumbing & Hot Water always issue a gas compliance certificate to certify the installation is compliant and safe. Domestic LPG gas systems in Brisbane are supplied via gas cylinders. Depending on the size and demand required, these cylinders can range from 7kg swap and go bottles to 45kg in-situ storage tanks. LPG (also known as propane) is a popular choice for low use applications such as cooktops and freestanding cookers. Unlike natural gas connections, where it is necessary to pay a daily service fee, LPG gas systems allow consumers to only pay for what they use. As a general rule of thumb, it is generally more economical for households with two or fewer people to use LPG over natural gas. Our Brisbane gas fitters can assist with positioning and sizing a suitable LPG bottle installation. Gas Compliance certificates are issued following the commissioning of a gas service. This is necessary whenever installing an appliance, making alterations to a gas line, fixing a gas leak or extending pipework. In order to ensure your gas system is safe, we are obligated to check the entire system for defects and conduct a gas pressure test on completion. Some of the most common defects include unrestrained gas bottles, small leaks and faulty appliances. If you have new pipework or and appliance installed, you may also be issued with a gas compliance plate which will be positioned inside your electrical meter box. Gas plates and certificates are requested when refilling L.P.G. bottles or during gas audits. For more information regarding our cook top appliance installation service click here. If you have a technical enquiry, or would like to speak to a Brisbane Gas Fitter today, contact Conrad Martens Plumbing on 3878 4444.